The reason I am reposting that video is because seeing the belugas was probably one of the most interesting events of my life and it was all because of our boat, the Split Crow. Since our life has changed considerably in the last year, with moving to Prince Edward Island, buying a commercial piece of property right on the ocean in Summerside, turning it into our house and working at our small business – PEI Wooden Spoon and Sewing Company, we made a big decision to sell the boat. Dennis put the boat up for sale in November and thought that because of its location, it would take a couple of years to sell. Well, it took three weeks. 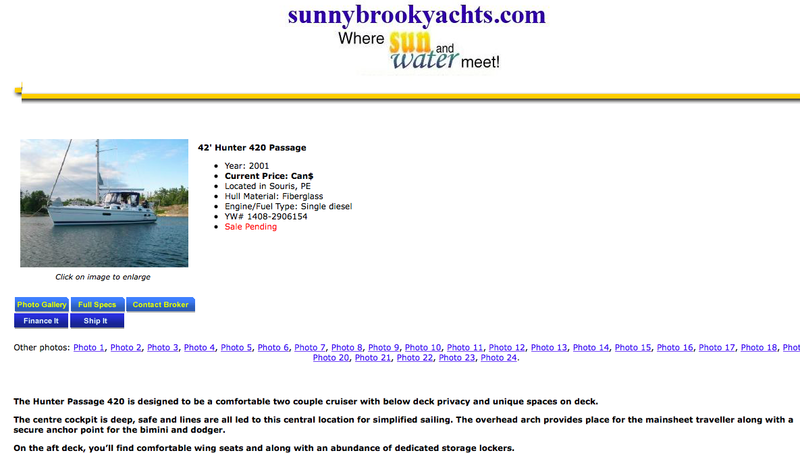 A man from Virginia contacted Sunnybrook Yachts in Chester, Nova Scotia (that’s where the boat was listed) and was very interested in it. He flew up to Halifax, rented a vehicle and arrived in Souris on Monday, December 7th with his girlfriend and a boat surveyor, inspected the boat and made the sale. After much running around with the ridiculous amount of paperwork such as unregistering it with the US Coat Guard (apparently it was registered with them the entire time we owned it – who knew?) plus several trips to the lawyer, (Mr. McNeill with two Ls as he likes to say), we are now waiting for the FedEx package to arrive today and then will make a trip to the bank to deposit the cheque. Now, we will continue on with our adventures sans the boat. In February, we are heading to Florida for a couple of weeks. We are staying in St. Augustine where there are plenty of boats to look at. We are also hoping to go to the Bike Friday store. These bikes are high end portable bikes that fold down into a suitcase so when we travel, we will be able to take our bikes. People have driven around the world on these bikes, so we are interested in test driving them. Who knows? Maybe we’ll drive across Canada on them or head down to Australia and New Zealand. So, we are not done with the blog or the adventures but they will take place without the boat. I will have to change the blog tag line to read “Blogging about our adventures” but I will do that on a later date. 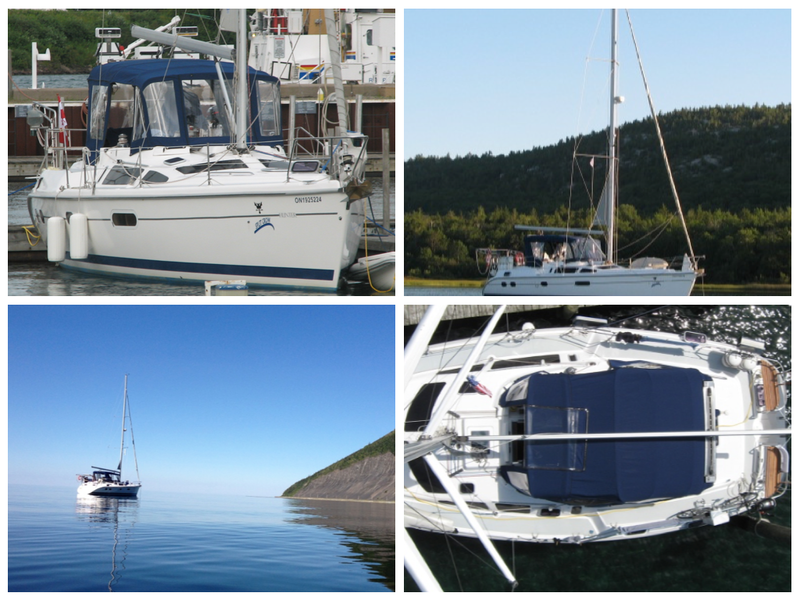 It will be sad to see our boat sail off without us as it is a good boat and it lived up to our expectations. We had wonderful summers sailing. We got to see the Benjamins, Killarney, Little Current and many, many beautiful anchorages in Georgian Bay and the North Channel. We had a great time in Lake Michigan and totally enjoyed Mackinac Island, Beaver Island and Charlevoix. The Split Crow got us all the way from Parry Sound to Tobermory, down Lake Huron, Lake St. Clair, Lake Erie, the Welland Canal (read about this little adventure in the Welland Canal! ), Lake Ontario, the St. Lawrence River, the Gaspé, the Magdalen Islands and then finally to Prince Edward Island. So, good-bye Split Crow – you’ve been part of the best adventure of my life! Posted by JH on December 16, 2015 in Everything Else! She’s been a dear friend to you and Dennis and I think all of us who faithfully read your blog will be sad to see her go. Carry on, Split Crow and smooth sailing. It looks like someone else is getting her as a Christmas present. She was (perhaps) a bit big for bay sailing and is (perhaps) a bit small for where you are now? I will raise a glass to her for keeping my friends safe on the voyages that were made. Thanks Jane for the blogs on your adventures. Have you bought that snowblower yet?